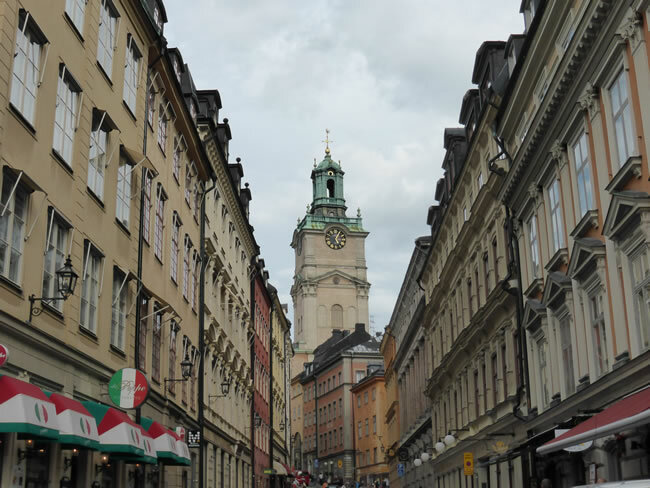 Dominating the skyline is the Storkyrkan’s clock tower which reaches a height of 216 feet. This Cathedral is known locally as the ‘The Great Church’. As it is so close to the Royal Palace, the cathedral is historically the site of royal religious ceremonies. It was built in 1306 on the site of a small chapel dedicated to St Nicholas.